* Are you looking for some protection accessories kit for your DJI Spark? This accessories kit includes propeller guard, landing gear and tripod buckle is just for your DJI Spark drone! It perfectly fits for DJI Spark RC Drone. The propeller guard will not only protect your spark when your friends and family are gathering. The landing gear will protect the vision positioning system and gimbal camera more stable, and give better stability and safer, when landing on rough grounds. -DJI Spark drone is not included in the picture. -It perfectly fits for DJI Spark RC Drone. -Half- surrounded structure, which can not only protect your spark, but also your friends and family when gathering. - 4cm higher, to protect the vision positioning system and gimbal camera more stable. Triangle support better stability and safer, when landing on rough grounds. - You could use propeller guard/landing gear alone, also could use them simultaneously. 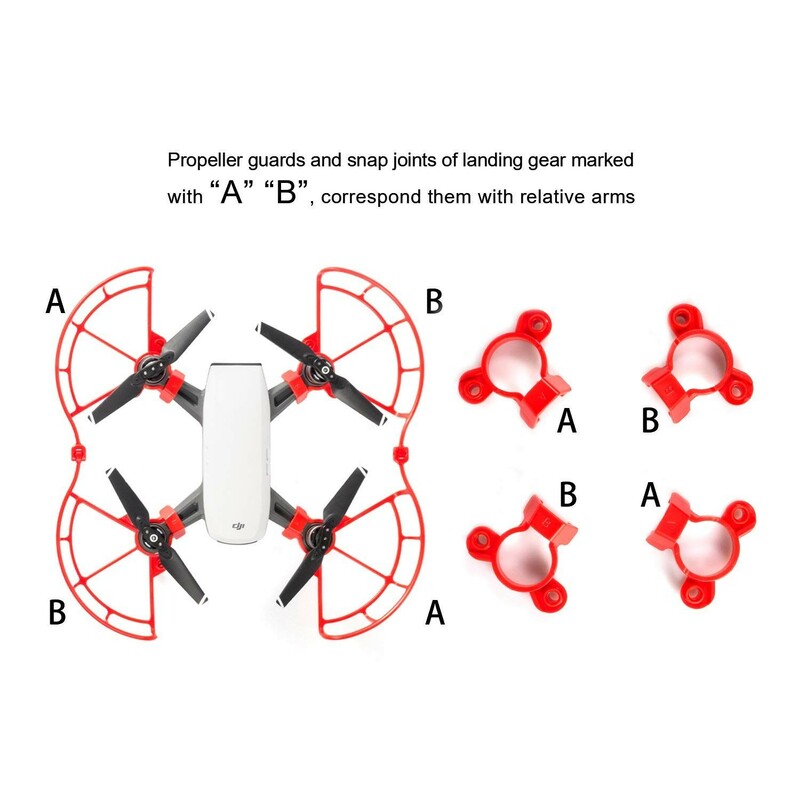 - 4 * Propeller Guard + 4 * Landing Gear + 4 * Tripod Buckle.